In this interview, Déborah Berman-Santana, professor emeritus of geography and ethnic studies at Mills College in Oakland, California, analyzes the latest developments in Puerto Rico. Berman-Santana is the author of “Kicking Off The Bootstraps: Environment, Development, and Community Power in Puerto Rico,” a detailed analysis of “Operation Bootstrap,” a post-World War II industrial program launched by the United States that was one of the very first of its kind in the world. Speaking to MintPress News, Berman-Santana analyzes the long history of colonial exploitation of the island, how the current economic crisis developed, and why the latest “bailout” of the island is only a bailout for the vulture investors who have taken possession of much of Puerto Rico’s debt and who now have their sights set on the island’s valuable assets and resources. She also draws comparisons with the economic crisis and subsequent “bailouts” that have been seen in Greece, a country where she has spent extensive time over the past year. MintPress News (MPN): Describe for us the history of the economic exploitation of Puerto Rico. What has the impact of colonialism been on Puerto Rico’s economic viability? During the 1930s, the anti-imperialist congressman Vito Marcantonio sponsored a study which revealed that since 1898, U.S. corporations had extracted as much as $400 billion in profits from Puerto Rico. Recently, independent researchers in Puerto Rico have estimated that since the 1950s, more than half a trillion dollars has been extracted from Puerto Rico. Both estimates encompass the free usage of Puerto Rican resources and the restriction, via U.S. cabotage laws, requiring all imports and exports to use U.S. merchant marine ships and U.S. crews. It would not be an exaggeration to say that the U.S. has taken more than a trillion dollars away from its colony, which certainly dwarfs Puerto Rico’s $73 billion public debt. MPN: How did this ongoing exploitation contribute to the present-day “debt crisis” in Puerto Rico, and what has been the role of Washington, Wall Street, and the “vulture funds” in perpetuating this crisis? DBS: With the eventual elimination of industrial tax incentives beginning in the 1990s, Puerto Rico’s governments increasingly looked to loans to balance its budget and continue practices of rewarding political cronies with contracts for large infrastructure projects. Subsequently, President Clinton’s elimination of the Glass-Steagall Act allowed for investment bankers to increasingly engage in bond market speculation. Puerto Rico received “triple exemption” because of its colonial status, which meant that every pension fund and every municipal and state government, among others, bought Puerto Rico bonds, ignoring the fact that its economy began shrinking once the special industrial exemptions were completely eliminated in 2006. Election of a protégé of the Koch Brothers, Luis Fortuño, as Puerto Rico’s governor in 2008 resulted in a “bitter medicine” law that eliminated tens of thousands of public jobs, which accelerated the descent of an economic recession into a depression. By 2011 the major credit agencies began degrading Puerto Rico’s ratings, with the result that it increasingly resorted to short-term, high interest loans similar to “payday loans.” Bondholders increasingly unloaded their Puerto Rico bonds in the secondary bond market, which were then swooped up by vulture funders such as Paul Singer and John Paulson – often at 10 to 20 percent of the bond’s value. Today, these vulture funders possess up to 50 percent of Puerto Rico’s public debt, and are the creditors who are least willing to renegotiate the terms of the loans. They have been the major lobbyists for the Congressional law known as “PROMESA” that recently became law. MPN: “PROMESA” been touted by some as a “bailout” for Puerto Rico. What does this bill mean for Puerto Rico, in your view, and what is the significance of the acronym “PROMESA”? DBS: The new law, which President Obama signed on June 30, is entitled the “Puerto Rico Oversight, Management, and Economic Stability Act” (PROMESA). In Puerto Rican popular parlance, a “promesa” is a pledge that someone makes when dealing with a family crisis. The person promises to do something for the community if the crisis is resolved. Often this is an annual fiesta, including traditional music, food and drink, and may last for decades. That the U.S. Congress would give this name to a law that strips away any pretense of self-governance, [it] has caused a tremendous amount of resentment in Puerto Rico. This law allows President Obama to appoint a seven-member board — paid for by the Puerto Rican people — which will take control of the budget, eliminate environmental laws, dismiss public employees, abolish public agencies, cut the minimum wage by half for young workers, close schools and hospitals, increase utility bills, and cut pensions. These measures are justified by the priority of making payments on the public debt. There is no provision for economic development or restructuring of the public debt, let alone canceling it. There is no acknowledgment that such measures are likely to greatly increase emigration of working age Puerto Ricans while severely deteriorating quality of life for those who remain. Any “bailout” that might occur as a result seems directed only at the Wall Street vultures who now control most of the debt. 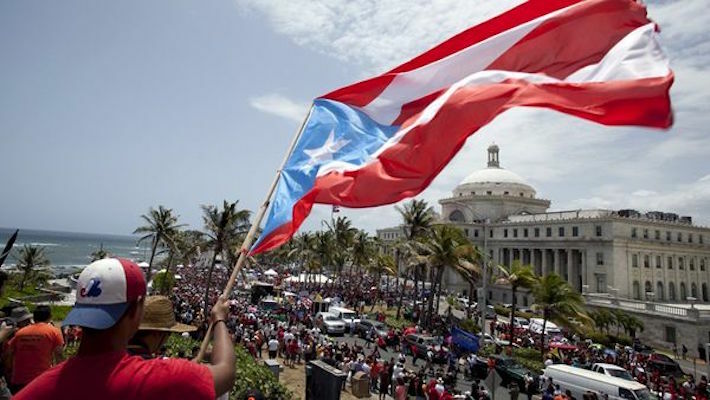 MPN: Much has been written about the economic crisis in Puerto Rico recently, including a report by the Committee for the Abolition of Illegitimate Debt (CADTM). What do you make of these reports, and were any Puerto Rican economists given the opportunity to provide their own input? DBS: CADTM’s article was odd in that there did not appear to be any effort to read up or try to understand Puerto Rico, but simply to use information from Europe and change names where needed. For example, it referred to Puerto Rico as a member of the “Commonwealth of the United States,” an entity that does not exist (unlike, for example, the British Commonwealth). Puerto Rico is defined by the U.S. as a “territory belonging to, but not part of, the United States”, with not a single iota of sovereignty. A White House report on Puerto Rico in 2006 claimed that the U.S. could give Puerto Rico away to another country should it choose to do so. The term “commonwealth” is used for Puerto Rico to give the illusion that Puerto Rico achieved some form of self-governance in 1952, which resulted in the United Nations removing it from their list of colonies. There has been a movement to get Puerto Rico reinstated to that list for decades. Another weakness of CADTM’s analysis was its use of secondary sources of statistics about Puerto Rico, such as the Pew Foundation, instead of Puerto Rico’s own government, or any of several Puerto Rican independent research institutes. Perhaps most egregious of all is that it does not mention the fact that, as a colony with no sovereignty, all of Puerto Rico’s public debt may be considered illegal. One might presume that an international organization dedicated to cancellation of debt would know that it was the successful insistence by the U.S. in 1898 that Cuba did not need to pay any of its debts because they were contracted by Spain, that helped shaped the concept of odious debt. I am not sure of the purpose of CADTM’s article — I hesitate to call it a “report” — other than to jump on the Puerto Rico misinformation bandwagon. MPN: In what ways has the colonial administration of Puerto Rico made the island economically dependent on the United States, and how does this dependency impact the national psyche of Puerto Ricans? DBS: There used to be a geography book, written by a North American named Muller, which was the first textbook studied in all Puerto Rican schools. The first sentence read: “Puerto Rico is a small, overpopulated, poor island, lacking in natural resources, which cannot survive without the United States.” Puerto Rico has served as a laboratory for generations of U.S. academics, most of whom were awarded government and foundation grants to prove that Puerto Rico and its people were geologically, biologically, and socially inferior. Their claims were often absurd, such as that Puerto Ricans were afraid of the sea and that there [are] hardly any fish in the surrounding Caribbean — both of which could easily be disproved — or that somehow Puerto Rico’s rich soils could not feed the population, which was not the case until most arable land was diverted to sugar cane and later covered in cement for the industrialization strategy. Puerto Ricans were constantly told to look to the U.S. for all sources of innovation and progress, and warned that independence would be economically and socially disastrous. A favorite slogan was, “Where would we be without her?” alongside the U.S, flag. Never mind that all of the disastrous economic and social consequences about which we were warned, have occurred precisely because of our colonial relationship to the U.S. You simply cannot extract the amount of profits from a country that the U.S. has taken from Puerto Rico, plus restrict our ability to protect our own resources or capital, and expect to have a positive economic result. DBS: For the first 50 years after the U.S. invasion of Puerto Rico, the president named a governor and most directors of government agencies. Since the establishment of the “Associated Free State” (commonwealth) in 1952, Puerto Rico has elected its own governor and legislature, as well as a non-voting representative to the U.S. Congress. Elections are held every four years. The two majority parties are the pro-statehood New Progressive Party (PNP) and the Popular Democratic Party (PPD), which favors the current status with greater autonomy. The Puerto Rican Independence Party (PIP), once the second-largest party, has been relegated by decades of political repression and extreme factionalism among pro-independence and left organizations to the status of a small party that barely manages to elect some representatives at municipal and island-wide levels. There is also a Puerto Rican court system, using only Spanish and based on Roman law, as is true of Latin American countries, which, however, is subordinate to the English-only U.S. federal court, located in the U.S. federal building in San Juan, a concrete reinforced stronghold that is the official seat of U.S. colonial rule. The Puerto Rican government has not had the power to truly protect local businesses against product dumping from U.S. companies, nor to make economic treaties with other countries without U.S. approval. 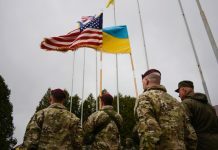 However, it has had control over its budget and taxes, which both majority parties have used to curry political favor with contractors and corporate sponsors. This has encouraged a culture of corruption, which would appear to confirm the dominant narrative, that Puerto Ricans lack the capacity to properly govern themselves. But at no time since 1898 has any Puerto Rican government been able to exercise sovereign decision-making against the wishes of Washington. That the so-called “commonwealth” did not change its status was confirmed by two rulings of the U.S. Supreme Court in June, one of which dealt with Puerto Rico’s exemption from use of Chapter 9 bankruptcy while at the same time nixing its government’s attempt to write its own bankruptcy law. 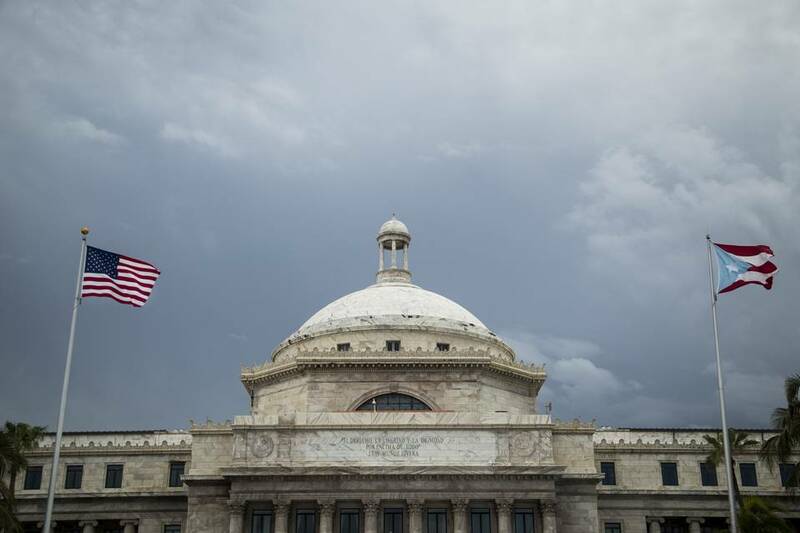 Briefly, the Supreme Court affirmed that Puerto Rico lacked even the limited sovereignty that a U.S. Indian tribe might possess, and that Puerto Rico’s constitution had about as much validity as the Puerto Rican peso had after the U.S. takeover. In addition, President Obama said that “there is no alternative” to the PROMESA bill and the imposition of a junta, which of course means that Puerto Rico’s elected government, laws, and constitution mean nothing. MPN: What do you make of the recent visit of Bernie Sanders to Puerto Rico? DBS: Sanders’ primary campaign strategy was to attract independents to vote for him in the primaries. Even though Puerto Ricans and other residents of U.S. colonies do not vote for president and have no voting representation in Congress, they do have delegates to the Democratic and Republican conventions and so usually hold primaries. By far the largest of the colonies in terms of population is Puerto Rico, and so Sanders’ strategy was to encourage independentistas — supporters of independence who do not vote in U.S. primaries — to vote for him. In his congressional career Sanders had never appeared to be aware of Puerto Rico’s existence, yet suddenly he was promoted as a “savior” who would decolonize Puerto Rico, all based upon his criticism of Wall Street and a supposed reputation as a “radical leftist.” Sanders never could bring himself to mention the “c” word — colony — when speaking about his country’s relationship with Puerto Rico. More than once he referred to Puerto Rico as a “protectorate,” and his harshest words accused Washington of using the PROMESA bill to “treat Puerto Rico as a colony” — without, of course, admitting that Puerto Rico already is a colony! Unfortunately, colonies foster colonized mentalities, so Sanders did manage to divideindependentistas yet again, when what is most needed at this time is unity. Sanders introduced an alternative bill to PROMESA in the Senate after PROMESA had already been approved by the House of Representatives and endorsed by Obama, so his bill did not even get a hearing. The proposed bill itself was a hodgepodge of measures that may have been marginally better in economic terms, but it also included a section on holding yet another referendum on political status — though at least five have already been held. It provided detailed instructions on how to fast-track statehood, should that option win, but nothing about U.S. responsibility for ensuring free determination and indemnification for eventual independence. I should also add that many U.S. politicians, from George Bush and Ted Kennedy to Hillary Clinton and Barack Obama, have made extravagant promises while campaigning for Puerto Rican delegates to their parties’ conventions. In sum, Sanders used Puerto Rico exactly as have other U.S. politicians before him. MPN: How is the issue of independence viewed in Puerto Rico and how has Washington typically responded to the independence movement? DBS: There have been independence movements in Puerto Rico ever since the 19th century, when Spain was still the colonial power. Since the 1898 invasion, Washington has combined violent repression of independence groups with selective co-option of broad sectors of Puerto Rican society, using church officials and entrepreneurs, politicians and civil society leaders to divide Puerto Ricans against each other while promoting Uncle Sam as benefactor. Neighbors were paid to spy and report on every aspect of the lives of independence supporters, while many lost their jobs or were expelled from universities. Leaders were often arrested on a variety of charges, and many served long prison sentences. Not even leaving Puerto Rico for the diaspora exempted them from persecution. For example, Oscar López Rivera is currently imprisoned, having served 35 years of a 55-year sentence for “seditious conspiracy to overthrow the U.S. government and its territories” — in other words, for struggling for Puerto Rican independence. Oscar grew up in Chicago, and has not been accused nor convicted of any violent act, yet his refusal to defend himself in a U.S. criminal court, and demand that he be tried as a political prisoner in an international tribunal helped lead to such a disproportionately long sentence. 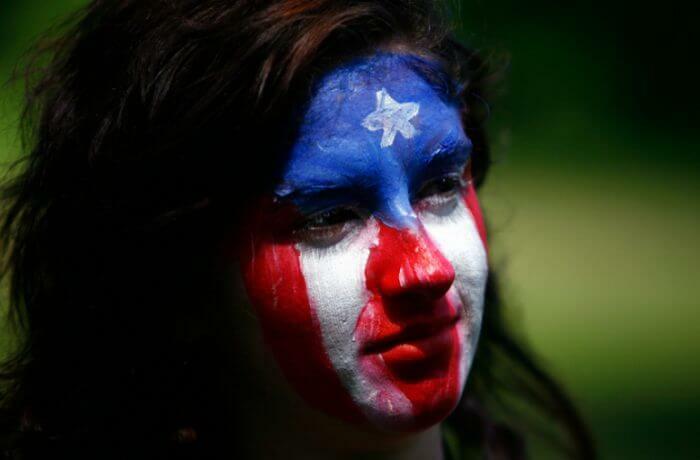 Puerto Ricans as a whole do not support independence, at least not openly, because they have been taught that Puerto Rico has no choice but to be associated with the U.S., either as a state or in some kind of autonomous association. Yet every single environmental, social, political and cultural struggle and campaign has had independence supporters as key members. Puerto Rican pride and self-identification with a Puerto Rican nationality is much broader than open support for independence. 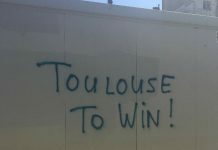 It is obvious in sports, in music, in cultural celebrations, even in jokes and everyday life. Even many statehood supporters will often refer to Puerto Rico as their nation, as contradictory as that may sound to outsiders. Especially given the recent actions of the U.S. government — and the realization by many Puerto Ricans that Uncle Sam does not have their best interests in mind, it would be interesting to see if support for independence would increase, should a serious proposal include some indemnification by the U.S. for over a century of colonial rule. MPN: The PROMESA bill has triggered a wave of demonstrations in Puerto Rico. How are these protests taking shape? DBS: As soon as Obama signed the bill, a number of organizations set up a “civil disobedience encampment” in front of the main entrance to the federal building in San Juan. This is a very common feature of activism in Puerto Rico, as it serves as a semi-permanent focus for education, organizing, and resistance, and has been used to block environmentally dangerous projects as well as the U.S. Navy’s former bombing range on Vieques Island. The encampment has been continuously occupied since the end of June, and is a focus for seminars, cultural events, picketing, and “community building.” For now, the Puerto Rican police have said they do not plan to remove the protesters, although federal agents often conduct provocative actions, such as blasting diesel generators near the tents and walking bomb-sniffing dogs through the encampment. Other protests include a massive and broad-based movement against a plan by the U.S. government to use military planes to fumigate all of Puerto Rico with dangerous pesticides, supposedly to kill mosquitos carrying the Zika virus. 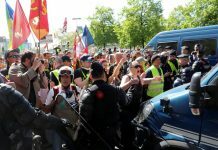 To this are added a large number of ongoing protests and campaigns, all of which now refer to the coming junta de control as possibly complicating even more the scenario. 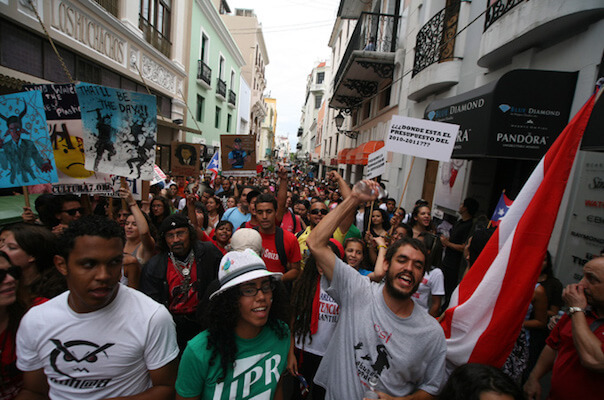 Activists in the large Puerto Rican diaspora also hold seminars and stage protests, many times in coordination with the groups in Puerto Rico. Of course, most Puerto Ricans are not protesters, and [they] try to go about their daily lives while listening with alarm, resignation, or both to the news. Puerto Rican activist organizations face many challenges as they try to work through decades-long factionalism and develop more effective ways to educate the public. Most of all, the challenge is to not burn out, and convince others that there is hope! MPN: Describe the difficulties in forming alliances in Puerto Rico today, within such a fractured and divided political landscape. DBS: Pro-independence organizations in Puerto Rico have always suffered from severe repression, including efforts by the colonizers — both Spain and the U.S. — to infiltrate and divide them. Some of the earliest campaigns by the FBI upon its establishment in 1908 included the criminalization and repression of independence activism in Puerto Rico, and such activities continue today. 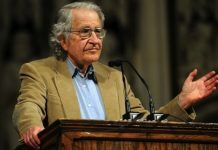 Recent examples include grabbing well-known activists in the street and forcing them to give DNA samples for supposed “ongoing terrorism investigations.” This operation included activists who had previously been imprisoned, and for whom the U.S. government would already have had DNA samples. This is just one example of a century-long campaign of repression that has included murders, disappearances, long incarceration, blacklisting, and spying. The Puerto Rican government has also been complicit in the criminalization of independence, including creating discord among activists and organizations. However, we cannot simply blame outside forces for the divided state of independence and left activism. Besides the personal antagonisms — many of which are due to the same societal ills that afflict leftist organizations, such as sexism — there are also ideological disputes, such as the roles of nationalism and socialism in colonial struggles. One new political party, for example, declines to take a position on Puerto Rican political status even though most of its leaders have been identified as independentistas. They expect that by doing so they can attract pro-statehood workers to vote for them. I would argue that it would repel more statehood supporters, because they would be seen as dishonest. Of course, this divides the votes of those who no longer want to vote for the two majority parties. The Puerto Rican Independence Party is running a full slate of candidates and is trying to position itself as the alternative. But they have in the past been quite sectarian and have alienated many independentistas. 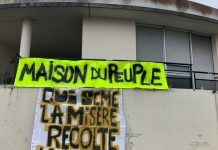 Despite such divisions, we have seen many activities that include representatives of both parties, as well as other independence and left organizations. This indicates that many understand that somehow we need to overcome our divisions, if not our disagreements. MPN: Puerto Rico has often been described as the “Greece of the Caribbean.” You have had the opportunity to visit Greece twice in the past year. How similar are the crises in the two nations in your view? DBS: I would say they are strikingly similar, and in fact that the same playbook is being used in both countries, despite the differences between them. For example, the acronym TINA, “There Is No Alternative” to continued policies of austerity, privatization, and increased taxes in order to pay off an unsustainable public debt, is constantly repeated, as is the myth that “There is no Plan B,” and that political independence for both (in Greece’s case, leaving the European Union and the eurozone) would be disastrous — as if U.S. and EU colonial rule is not already a disaster! In Greece there is already a junta de control fiscal named by the EU which must approve — and often even write — laws that the Greek government must implement, such as automatic budget cuts and further privatizations. 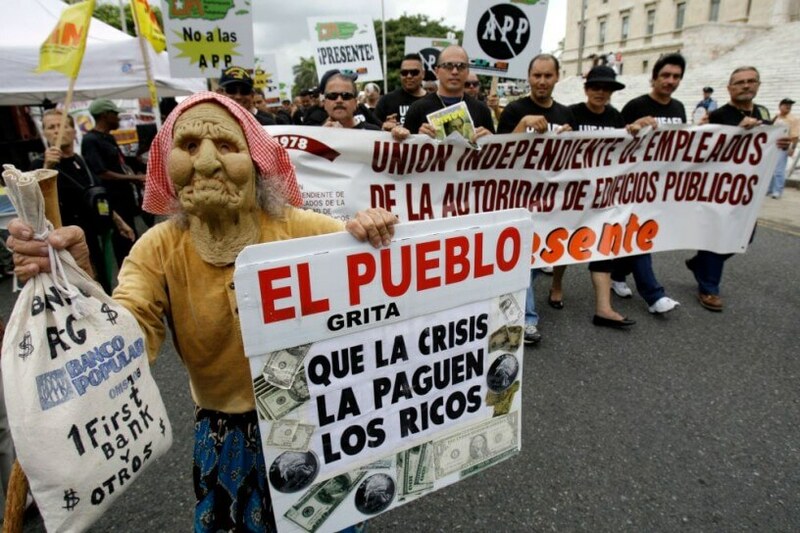 While as a classic colony Puerto Rico cannot officially deal with the IMF, in practice the PROMESA bill follows the IMF playbook, as was prescribed by “former” IMF officials who were hired by the Puerto Rican government — as ordered by their masters in Washington — to produce a report with recommendations for dealing with the debt crisis. 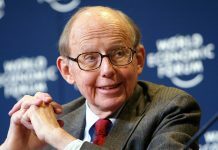 In addition, you see “vulture capitalists” such as Paul Singer and John Paulson swooping into both Greece and Puerto Rico to buy up assets such as banks and land, plus debt — at a discount. The fact that Puerto Rico is a classic colony actually makes the problems of lack of sovereignty much clearer. Greece is still officially an independent country, so for some people its de facto colonial status may not be quite as clear. Also, the problem of equating national sovereignty with fascism is particularly acute in Greece as a European country. In Puerto Rico we have some of that confusion, but it is not as strong since in general Latin Americans, including Puerto Ricans, understand the necessity for national sovereignty as part of anti-colonial struggles. MPN: In your view, what is the best solution for Puerto Rico and its people, economically and politically? DBS: The international community recognizes the right of all peoples to self-determination, including freely and unilaterally choosing their political status. There are three recognized statuses: first, union with another independent state under conditions of equality; second, association with another state, with the right to unilaterally change its status; and independence. The U.S. has historically added new states whose native populations have been reduced to a small and powerless minority. The three Associated Republics of Micronesia complain of a lack of sovereignty and the unwillingness of the U.S. to renegotiate their compacts. There is zero interest in the U.S. to add a new state comprised of Spanish-speaking people with a distinctly different culture, and which additionally has a per capita income less than half of Mississippi, the poorest state in the Union. I believe that political independence represents the only possibility for Puerto Rico to exercise its sovereignty, and it should be accomplished — with international pressure — as part of a negotiation that includes indemnification for more than a century of colonial exploitation. Certainly, Puerto Rico’s colonial debt belongs to the colonizer. Far from seeing independence as “separation,” I would argue that it would actually open up Puerto Rico to the rest of the world, instead of being chained behind the iron curtain of U.S. rule. There is a saying in Latin America that its independence will not be complete without Puerto Rico, and I believe that time is now.